The F/A-18E/F Super Hornet model built by Boeing is a multirole fighter aircraft of the 4.5th generation with a twin engine. Deriving from the D Hornet and the F/A-18C model, the F/A-18F and the F/A-18E were manufactured, the first model with tandem seat and the second single seated. 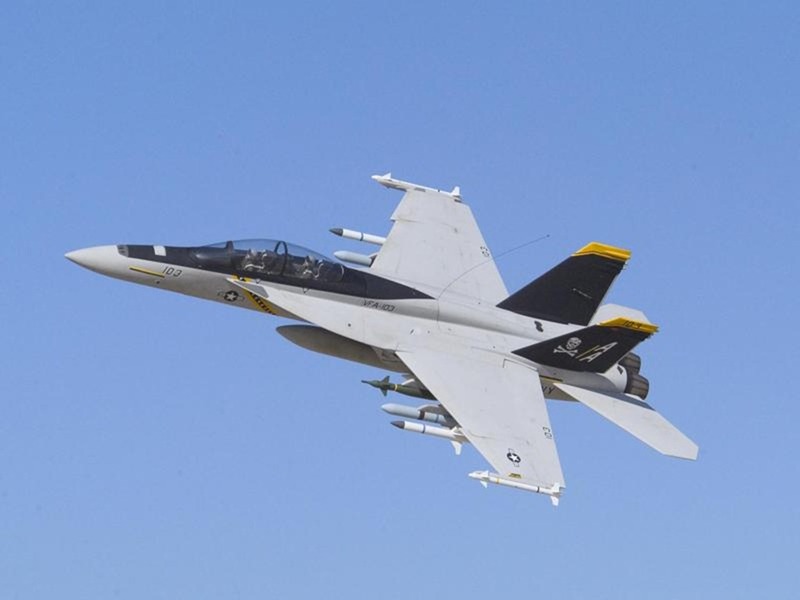 The Super Hornet can carry both air-to-air missiles and weapons for air-to-surface combat and it also has an internal gun of 20 mm in caliber. There can be added external fuel tanks up to a number of five and it can also be turned into an airborne tanker if it is equipped with an air refueling system on the exterior. The first flight of a Super Hornet was registered in 1995. The aircraft was produced at first by McDonnell Douglas, which later merged with Boeing. The Super Hornet model was purchased by the U.S. Navy in 1999 as replacement for the former F-14 Tomcat starting with 2006. 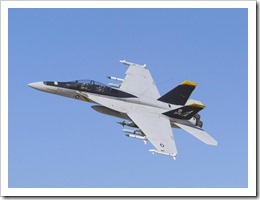 In March 2010 other Super Hornet models were sent to the Royal Air Force of Australia. In the 1980s the McDonnell Douglas company marketed an early model with the name if Hornet 2000. It represented and improved version of the F/A-18 model. Compared to the base model, it had longer fuselage so it could carry more fuel, more powerful engines and larger wings. In 2008 discussions were started by Boeing and the Australian and U.S. militaries to build a new model of Super Hornet, the Block III. The new aircraft would be of the 4.75th generation with extended range and extra stealth capabilities. In 2009 it is being created a new version with a F414 engine, an improvement compared to the previous variants, which would resist better to damages produced by foreign objects and which would also have reduced fuel burn. Designers work on also increasing thrust by 20%.